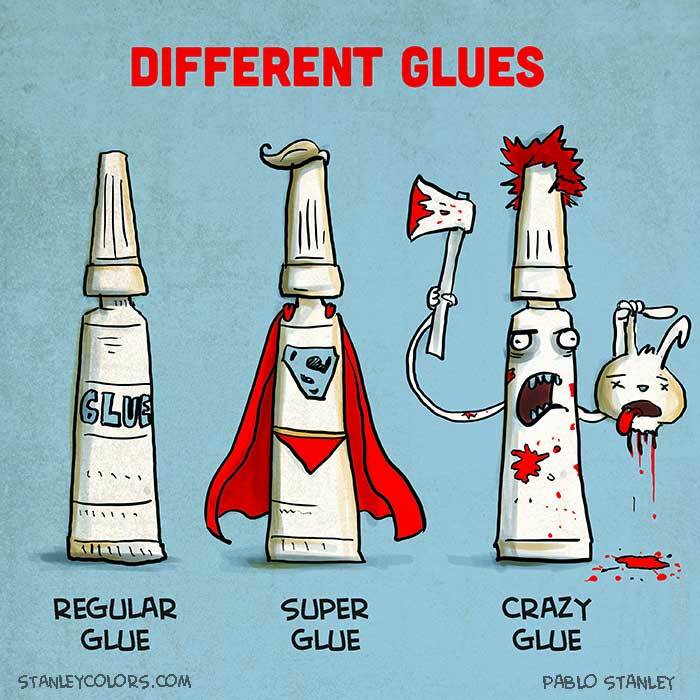 We use a lot of Crazy Glue! One of ET’s first nicknames was Destructor (said in a super-hero voice). When he could talk well enough to say, “Stop calling me that!” we did… to his face. This weekend, ET was sent inside by his big brother to report the latest breakage (just a pair of nail clippers they were using to cut pipe-cleaners). I guess predictable isn’t the worst thing I could be. This entry was posted in Funny things my kids say and tagged Family, Funny, Glue, humor, humour, kids. Bookmark the permalink. My boys also want me to stop with the lovey dovey names but I have informed them that I will continue until the day I die. Now I’m worried they are plotting my death!